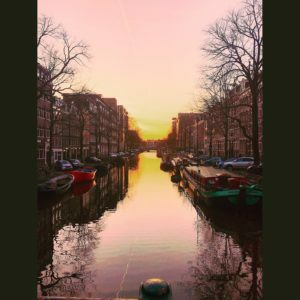 That would be Amsterdam to be exact, my name is Kia Kaiser and I am blogging my journey through my semester abroad in Europe. expensive than the tiny town of Spartanburg. However, I plan on trying to make the trek to Lidl at some point (they’re much closer in Spartanburg when you have a car). I am nervous, but excited to be biking in the city and hope I can carry that experience on past my time at Wofford. From a first glance, Amsterdam is a vibrant, unique, and diverse city. So far I’ve met people from over 10+ different countries, states including Romania, Spain, South Korea, Argentina, Poland, California, New Jersey, Washington D.C, Oregon, Canada, and I’m sure there will be many more in the future. This, along with the easy going and laid back life style of the dutch that I’m learning to adapt to make me fall even more in love with this city.